Something is moving in the night, and it isn’t me. Well, yes it is me. 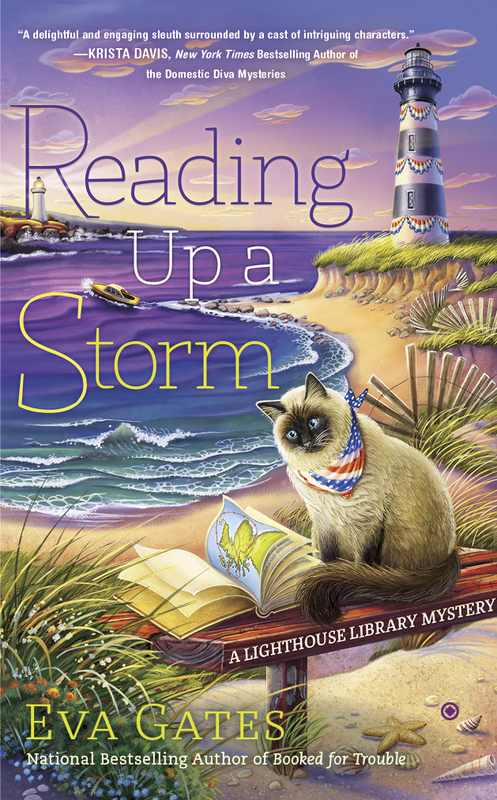 I’m upstairs, where I belong, in Lucy’s lovely 4th floor apartment we call the Lighthouse Aerie. But downstairs something is moving when the building is otherwise empty. It can only be THAT CAT. What cat, you ask? Louise Jane brought in a special addition to add to our Halloween decorations. It’s a model sailing ship, and everyone has been ooh-ing and aah-ing over how detailed and realistic it is, even down to the tiny captain, officers, and sailors. And the ship’s cat. What makes this ship suitable for Halloween is that it’s a ghost ship, and the men on it are all ghosts. According to Louise Jane (who’s been known to embellish a story or two) it’s the Rebecca MacPherson which went down with all hands in the mid-eighteenth century. All hands, and apparently, all paws. The cat being one who, according to legend, went by the name of George. I can’t say I’d like to be the ship’s cat on a sailing vessel. Although I suppose the mouseing is pretty good. No thanks, give me my nice warm library and cozy bed in the 4th floor Lighthouse Aerie any time. Where was I? Oh, yes. Something is moving downstairs in the night. And I’m pretty sure it’s that cat. Someone has to let Lucy knows there'ssomething wrong with that model ship. But who? She never listens to me. 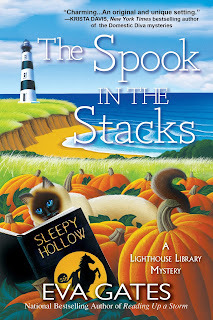 Find out if George, the model cat really is moving, in The Spook in the Stacks, the fourth in the national bestselling Lighthouse Library series by Eva Gates. 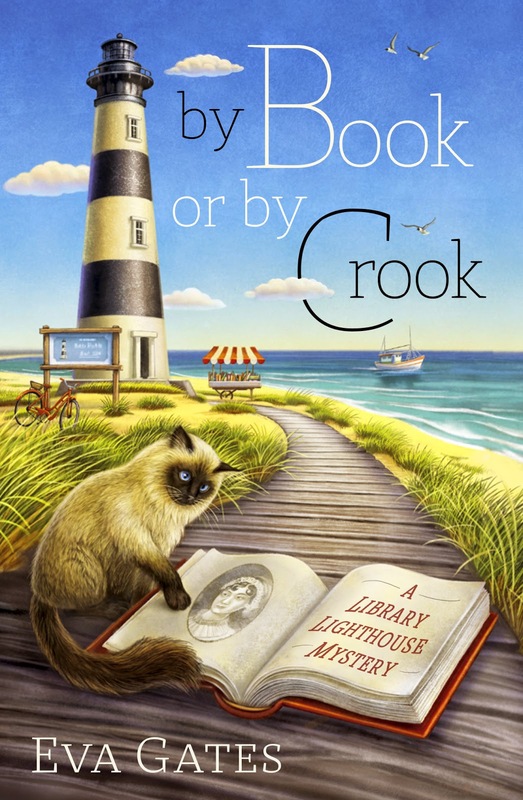 Like us on Facebook for news of books, our travels, and contests. Can't wait to read "The Spook in the Stacks". 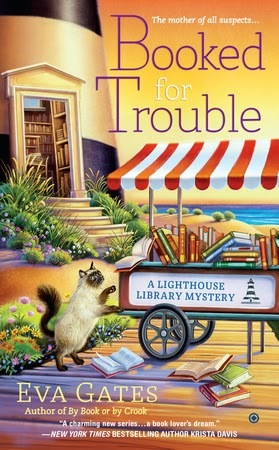 Love Eva Gates's books. I love Charles. He has such a great personality. And doesn't he know it!